EZ Living Furniture, Ireland’s leading retailer of quality furniture and home accessories, has announced the start of its 2018 summer sale. 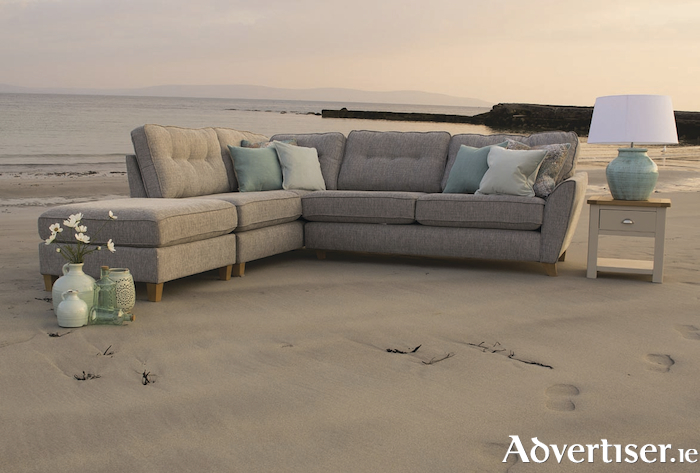 Taking place in-store and online at www.ezlivingfurniture.ie, the EZ Living Furniture sale starts this June Bank Holiday weekend, and everything is reduced until Sunday, June 10. Massive reductions are available on a wide range of furniture, as well as discounts on all beautiful home accessories. There will be special offers on dining sets, leather and fabric sofas, bed frames, mattresses, and occasional furniture such as coffee tables, TV units, and bedside lockers. EZ Living Furniture has 10 stores across Ireland in Galway, Sligo, Castlebar, Clonmel, Limerick, Kilkenny, and Dublin. The 100 per cent Irish, family-run business delivers products of the highest quality to its customers. EZ Living Furniture is also quickly expanding its online e-commerce platform, and will be creating even more Irish jobs over the coming years. This incredible summer sale will take place in all 10 EZ Living Furniture stores and online for the bank holiday weekend, until Sunday, June 10. Visit your local store to avail of these great discounts before they are all gone. For further information, and to view the range of furniture and accessories online and for store opening hours and locations, visit www.ezlivingfurniture.ie Be sure to follow EZ Living Furniture on Facebook and instagram for updates on special offers, in-store events and competitions.